SOMERSET, NEW JERSEY — A recent study1 by researchers from Boys Town National Research Hospital found that Oticon OpenSound Navigator™ (OSN) improves children’s speech understanding in noisy environments when listeners directly face towards or face away from the principal talker, yet still preserves speech from other talkers in the environment. 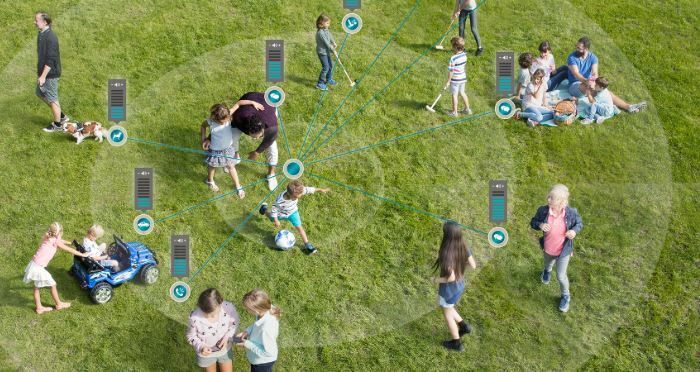 According to the news release on the study, the ability of OSN to preserve speech coming from different locations “allows access to other talkers in the background, which is fundamental to incidental learning in school-age children”. The study results showed that OSN, relative to OMNI, improved speech recognition performance in competing noise by an average of 4.0 dB SNR (facing talker) and 3.8 dB SNR (facing away from talker). Similar performance was observed for OSN and OMNI in competing speech, indicating that OSN did not attenuate speech in the environment. These correspond to 20-30 percentage point improvements in speech recognition when comparing OSN to OMNI. For more information about OpenSound Navigator, watch a video interview with researchers from Boys Town Research Hospital (below) and download the Benefits of Open Sound Navigator™ in Children Tech Paper. Browning, J. M., Buss, E., Flaherty, M., & Leibold, L. J. (2017, March). Integrated directionality and noise reduction: Effects on children’s masked thresholds. Poster session presented at the Annual Scientific and Technology Conference of the American Auditory Society, Scottsdale, AZ.